Jakarta, October 22nd 2014 – Following the success of the Hotel NEO brand in over 9 major tourist destinations throughout Indonesia, from Bali and Jakarta to Semarang and Sentul, Archipelago International has announced it will open two more Hotel NEOs in the first quarter of 2015, this time in the heart of Yogyakarta. With Yogyakarta's promising future and its many marketable tourist attractions, Hotel NEO Awana Yogyakarta and Hotel NEO Malioboro will be arriving at a prime time for Yogyakarta's flourishing tourism industry. Yogyakarta (or Jogja) is often referred to as “Never-Ending Asia” thanks to its endless attractions and historical appeal. It is one of the foremost cultural centers of Indonesia, with tourists flocking to visit the magnificent Borobudur temple and the Sultan’s Keraton Palace, and to watch local silversmiths produce amazing jewelry at Kotagede. Jogja is now the second most visited destination in Indonesia after Bali. Set to fulfill the demand of Jogja's growing tourist numbers, Hotel NEO Awana Yogyakarta will be a modern hotel finished with a touch of the city's traditions. It is located on Jalan Mayjen Sutoyo with easy access to Malioboro's shopping district, the Keraton Palace and other attractive tourist hotspots. The hotel will feature 296 rooms, 9 meeting rooms, a swimming pool and a signature restaurant. 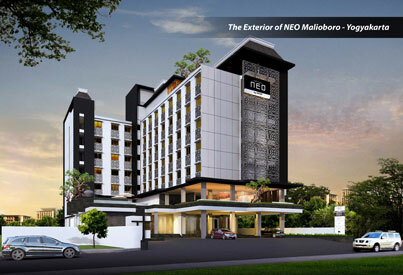 Also joining the NEO portfolio is Hotel NEO Malioboro, sitting in an ideal location on Jalan Malioboro in the very heart of Yogyakarta. 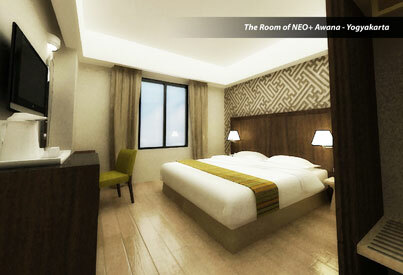 The hotel will feature 155 rooms, 6 meeting rooms, a swimming pool as well as a signature NEO restaurant. Hotel NEO Awana Yogyakarta and Hotel NEO Malioboro will continue the Hotel NEO tradition of taking the standard minimalist budget hotel concept to an entirely new level. Packaging authentic contemporary art, invigorating interior designs and high end in-room facilities with the NEO promise of a totally smoke free environment, the hotels are set to become the first choice for savvy travelers. The two new hotels will also feature Hotel NEO's renowned ultra high speed complimentary WiFi and its uncomplicated, smart-casual approach to service, with very affordable room rates for everyone and exclusive benefits reserved for online customers booking via the group’s website, www.NeoHotels.com. “With Indonesia's growing number of travelers looking to discover destinations outside of Bali and Jakarta, we are delighted to be expanding our presence in such a burgeoning tourist destination as Yogyakarta. The Hotel NEO brand has enjoyed success in all of the archipelago's most prominent tourist locations, so we are confident that these new hotels will help to accommodate the increased demand for hotel rooms and to encourage even more visitors to Yogyakarta.” Said Norbert Vas, VP of Sales & Marketing – Archipelago International.